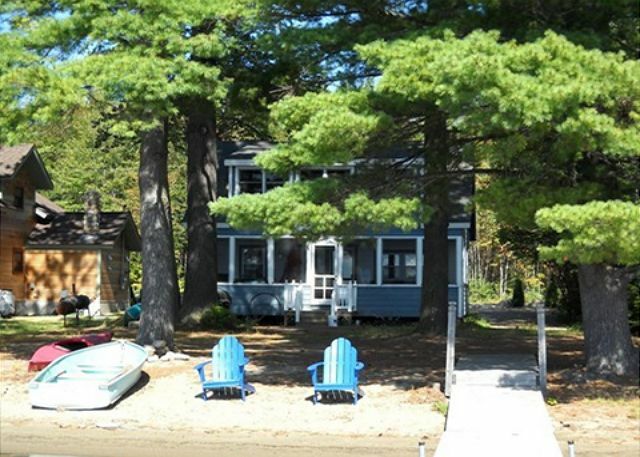 Sandy Beach Cottage on Great Pond. Beautiful sandy beach - a rarity in Maine! Master bedroom with queen bed and water view. 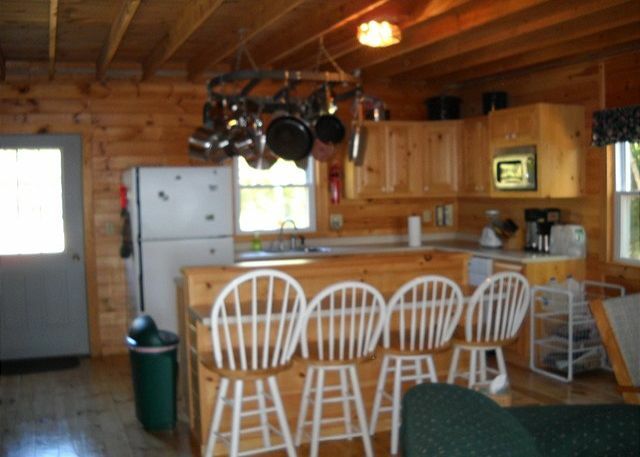 The sandy beach is what this cottage is all about. It's the perfect place to relax. You can sit in a lawn chair and read while the kids play in the sand and splash around in the lake. Fish and swim right from the dock. 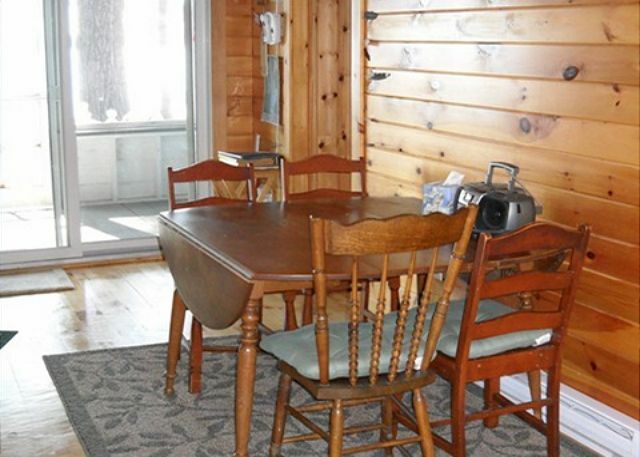 In the evenings, enjoy the view of the lake from the screen porch. 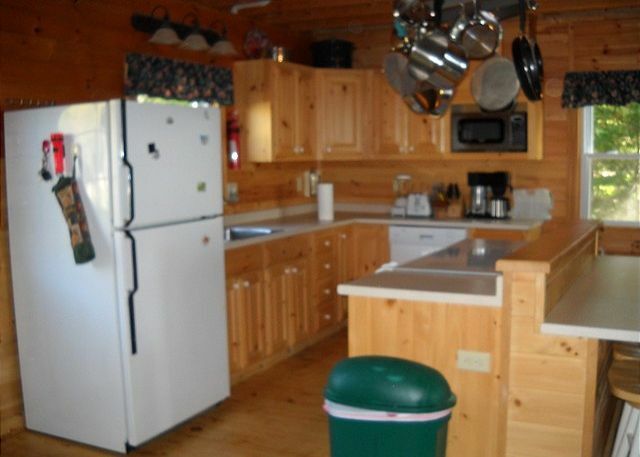 This comfy 2 bedroom, 1 bath cottage is loaded with amenities, such as a dishwasher, cable tv, dvd player, gas grill, washer & dryer (newly installed this year). On the main floor are the kitchen, dining area, living area, bath and master bedroom. 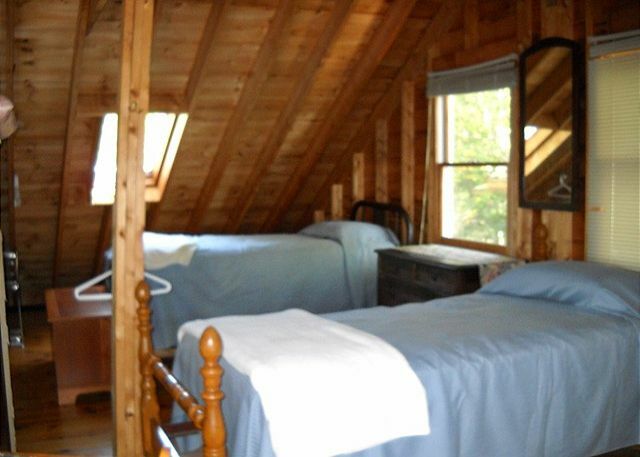 Upstairs is a dorm bedroom with 4 twins and a sitting area. Great place for the kids to hang out! 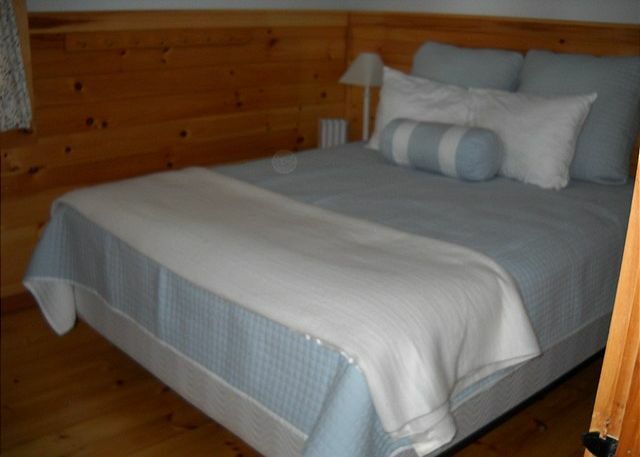 The cabin is well appointed, very clean and beautifully decorated! We loved the Viking gas stove to cook on—what a luxurious treat! It was so nice to have kayaks and canoes and life jackets to use! The upstairs had plenty of room for kids to hang out! The washer/dryer was a godsend...next time we will pack half the clothes! Would like a bigger lobster pot to use for next year. But we made due with what was there. We would definitely stay again! Great time staying at a very nice place. 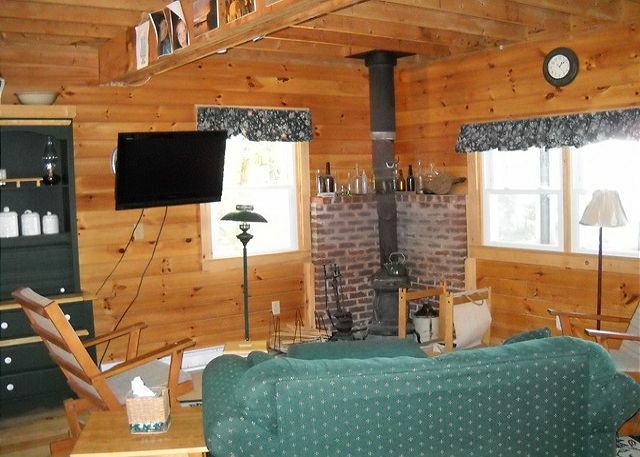 Couldn’t ask for a nicer cabin. 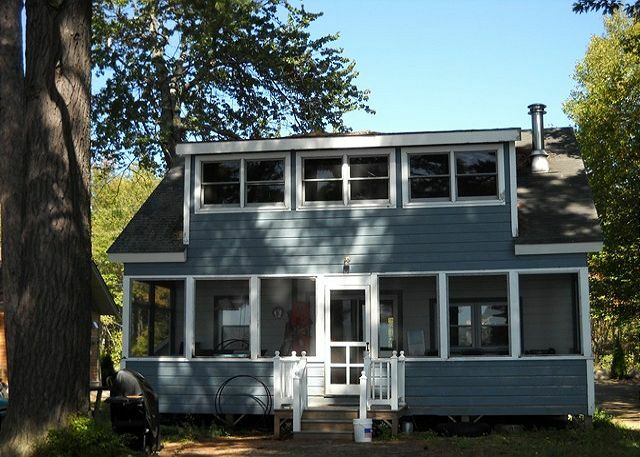 Excellent location right on a beautiful sandy beach area. Everyone had a blast swimming, fishing, kayaking and more. Can’t wait to go back there next year. We had a really nice time. I love sharing our time with family. We were lucky with the weather. Would like to do it again next year. Thank you! MY GRANDCHILDREN REALLY ENJOY COMING OUT TO THE LAKE AND I AM HOPING THEY WILL HAVESOME GREAT THINGS To REMEMBER!! We really enjoy spending four weeks at this cottage. I am able to share some summer days and make some family memories. I have two granddaughters that are six and they talk about it all winter long. They really love it. We also like watching the beautiful sunsets. We made some great memories and would like to do it again for the month of July 2012. It was great to wake up to the sound of osprey family circling overhead on the lookout for their breakfast. What a great location! Neighbors were very hospitable. 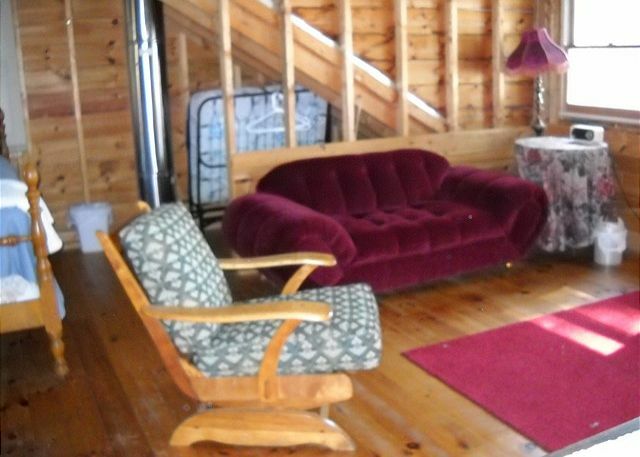 Would suggest a screen door on front and curtains for upstairs area.